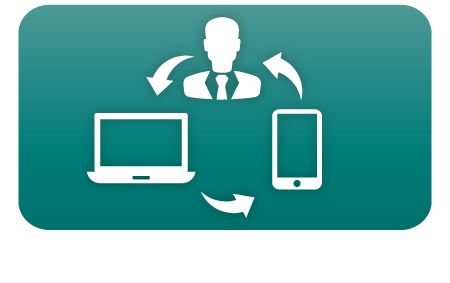 Features and Applications - Electronic Communication Services, Inc.
Our cloud and on-premise solutions offer a great variety of features and applications that can help your business boost efficiency, reduce costs, improve mobility, and increase productivity. Below are some of the great tools that are available with our cloud phone system and on-premise phone system solutions. When someone leaves you a voice mail, our solutions will automatically send it to your email with the recording attached. Send your calls to you mobile phone. 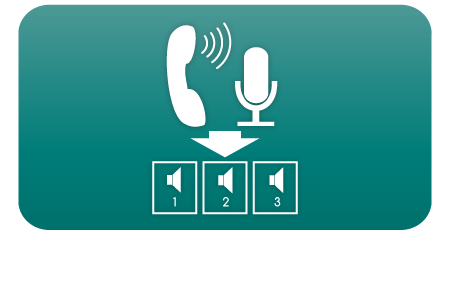 Add a remote phone to your phone system. Turn your mobile phone into your office phone. Stay connected to your phone system and your office no matter where you are with our mobility tools. No matter how you want to stay connected, our solutions can help you achieve your mobility goals. Whether you have one small call center or multiple large call centers, our contact center applications can meet your needs. Call queues, automatic call distribution, automatic call back, live chat integration, monitor calls, and more are all available with our solutions. Boost your call center efficiency and improve customer service to maximize agent production. Whether you just want to look at your past usage or whether you need to see in real time what is happening, we can provide you with the info you need when you need it. Historical reporting, real-time reporting, the ability to schedule reports, and more provide you with the tools necessary keep you aware of your business’s efficiency. These tools can assist you with scheduling, tracking marketing campaigns, tracking employee productivity, and more. If you have multiple locations, our solutions can help you stay connected with your sites no matter where they are located. Our solutions give you the ability to extension dial between sites, have centralized call answering, share features and applications, efficiently collaborate, and more. If your network is down, you still have the ability for each site to continue to function independently. With E911, first responders still know exactly where to go when 911 is dialed from one of the locations. Look and feel like one phone system for efficiency but act independently when needed. If your phone system is not functioning, you lose business. Our solutions can give you peace of mind knowing there is a plan for when disaster strikes. Our cloud phone system solutions have built in redundancy on the provider end in the event one of their data centers is lost. If your internet connection is lost, your calls can automatically be routed to another site or mobile phones ensuring you will always get your phone calls. Our on-premise solutions that utilize our SIP phone servicegive you the same automatic failover for when your internet connection is lost or your phone system has failed. Our solutions give you more than just the ability to make and receive phone calls. Use your PC and mobile phone to instant message with coworkers, listen to voice mails, see your call history, extension dial coworkers and make and receive calls just like you would using your desk phone.